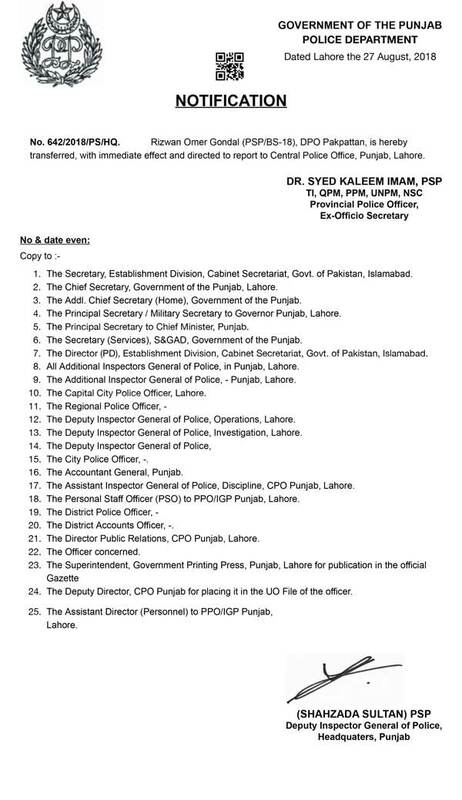 (Pak Destiny) Why Prime Minister Imran Khan is sleeping over on the sacking Pakpattan DPO despite media reports that he was made victim for not apologising to Khawar Manika, Bushra Bibi’s former husband or Khan himself involved in it. 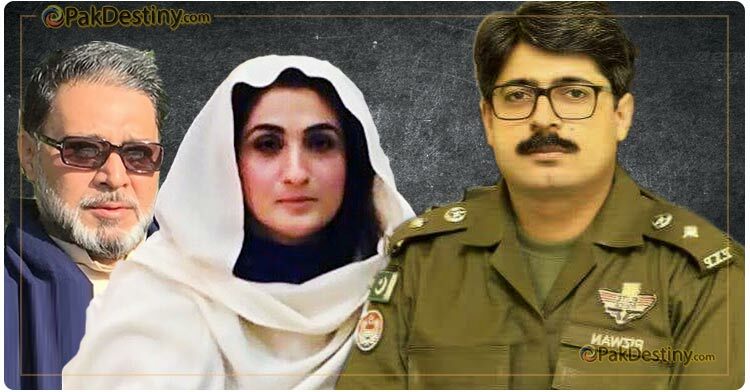 According to reports that district police officer (DPO) of Pakpattan Rizwan Gondal was transferred after he intercepted Khawar Maneka, former husband of Prime Minister Imran Khan’s wife, for speeding. According to police sources, the personnel tried to stop Khawar at a checkpoint on August 23 but he did not stop. However, they chased his vehicle and managed to intercept him. Khawar misbehaved with the police and hurled expletives at them when they stopped him, sources added. Subsequently, the Punjab government summoned DPO Rizwan Gondal on Friday and also asked him to go to Pakpattan to seek an apology from Khawar. The DPO refused to obey the orders and did not apologise to Khawar, saying the police was not at fault over intercepting him, sources added. Gondal also informed Punjab Chief Minister Usman Buzdar about his decision of not seeking an apology from Khawar, police sources further said. He was then transferred, reportedly for refusing to seek an apology from Khawar. However, sources in the government said the provincial chief minister had asked Khawar and the DPO to settle the matter. Welcome to New Pakistan Bushara acted like Maryam Nawaz and Imran like Nawaz. Imran Khan wanted to keep his marriage with Reham secret? She married ik for power, inclusive of her ex husband. Otherwise no logical reasoning of a nani to remarry. Shame on you for calling people dogs, you can come up with some better argument rather then calling them dogs……….you have right to disagree but not to call anyone with names?????? All lies all shameful lies. DPO Saheb nake per kea ker rehe the ?????¿?????? Imran Khan has to be extremely careful…he is being watched like a hawk by those who were mum when Pakistan was being looted by Nawaz and Zardari….